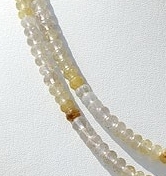 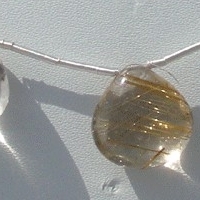 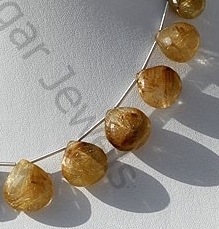 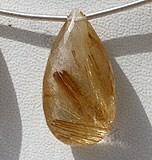 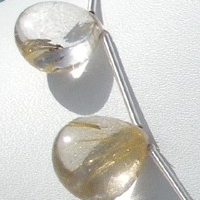 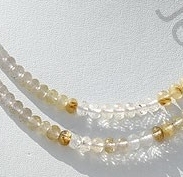 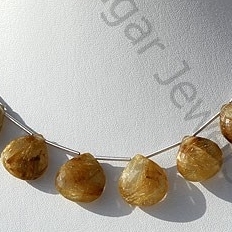 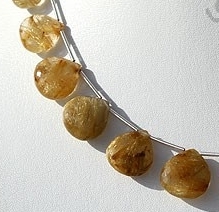 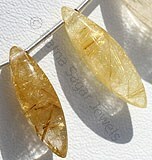 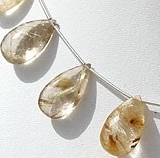 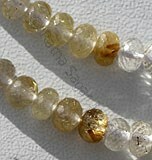 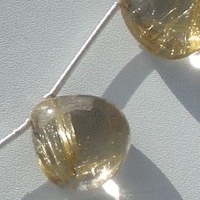 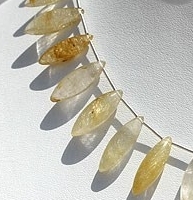 Rutilated Quartz is the combination of two separate words Ruitle and Quartz, where the former is derived from the latin word Rutilus referring to red while the quartz is derived from Saxon world querklufterz referring to cross vein ore. Also known as Venus Hair gemstone these beads are normally needle like crystals. 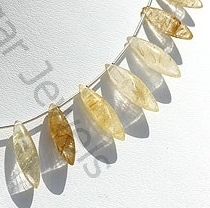 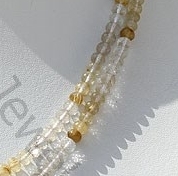 Like other quartz crystals Golden Rutilated Quartz are strong amplifiers and generate positive energy around the wearer brings mental peace to the use by enhancing his creativity. 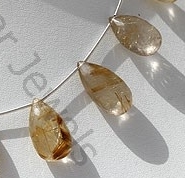 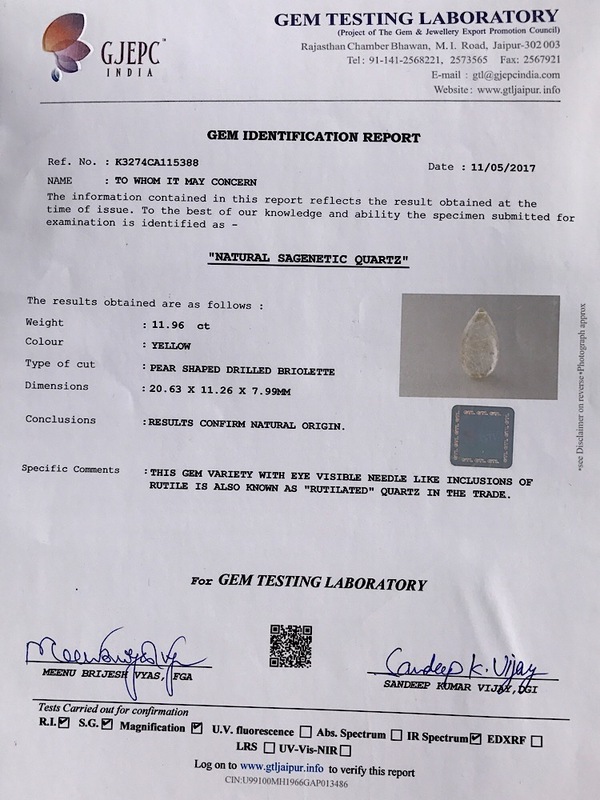 There are various places where these quartz beads can be extracted namely Australia, Brazil, Kazakhstan, Madagascar, Norway, Pakistan and the United States. 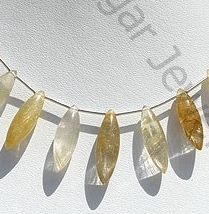 Apart from being used as jewelry items this stone is also blessed with huge healing powers and considered best in treatment of respiratory problems, strengthening cells, etc. 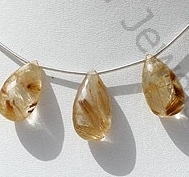 Ruilated Quartz enhances the energy level of the user and helps him retaining proper balance between his physical and mental energies. 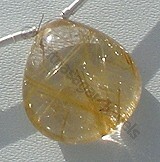 It helps in eliminating negative energy and boosts self confidence of the user.